Music download stores like Apple's iTunes could soon be able to operate one shop for the whole of Europe, under new rules brought in by EU regulators. Currently, iTunes has to negotiate the right to sell music with a different society in every European state. The European Commission says musicians should be free to choose from among the many collecting societies that handle music royalties in the 27-nation EU. The ruling will also let the societies license music in more than one country. Music rights are sold separately in each EU member state. As a result, the US market for internet music downloads is much bigger. The commission wants the collecting societies to compete with each other in Europe and end restrictive clauses in their cross-border contracts. The anti-trust decision should also make it easier for broadcasters to get EU-wide licences for the internet, cable television and satellite, using a single collecting society of their choice. But the decision still allows the societies to maintain their current system of bilateral agreements and to keep their right to set levels of royalties in the country where they currently operate. The decision was praised by two companies that had complained to the commission - the UK online music provider, Music Choice, and Luxembourg-based broadcaster RTL. EU Competition Commissioner Neelie Kroes said on Wednesday: "This decision will benefit cultural diversity, by encouraging collecting societies to offer composers and lyricists a better deal in terms of collecting the money to which they are entitled. "It will also facilitate the development of satellite, cable and internet broadcasting, giving listeners more choice and giving authors more potential revenue." But the decision was condemned by the International Confederation of Authors and Composers Societies (Cisac), a body representing the collecting societies, which said the move would harm cultural diversity and the creators' income. That criticism was echoed by the European Composer and Songwriter Alliance (ECSA), which represents Paul McCartney and David Gilmour of Pink Floyd among other rock stars. 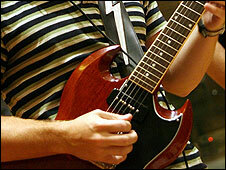 It said the "fierce competition" would hurt smaller collecting societies and less well-known musicians.